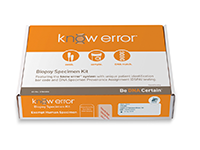 The patented know error® system utilizes forensic principles, unique patient bar coding, and DNA Specimen Provenance Assay (DSPA) testing to confirm that surgical biopsy samples being evaluated are free from contamination and belong exclusively to the correct patient. 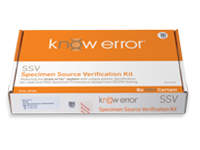 Know Error can be easily integrated within an existing routine clinical process, regardless of whether pathology services are performed in house or by a reference lab partner. 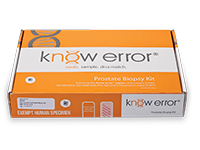 All professional Know Error biopsy kits contain the components for ruling out undetected contamination and transposition errors that can happen in the diagnostic process. 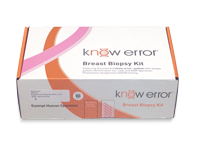 Each kit’s components are explained in detail on the following pages.